Convert Blu-ray Discs to other formats! 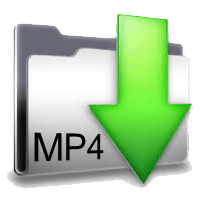 We reformat your Blu-ray Discs' content into MP4 movie files, or other data file types, or to DVD. We return the data files via web download or storage media that you provide, or on media purchased from Cintrex. This is an ideal way to share videos, reformat them for possible editing projects, and protect them for future viewers. Priced at $35 per Blu-ray Disc. Benefits to this service - Modernize and Protect your video memories. If you select data files for the new format - the content off the Blu-ray Disc is captured and reformatted into your chosen data file type, and then returned to you via the Web or storage media. If you select a playable DVD, we will capture the Blu-ray content, and author a new DVD for you. The DVD-R can hold up to 2 hours of content, will have a opening custom menu, and depending upon selected region type, be able to work in all players for a selected region. We will label the disc surface and sleeve insert per your instruction. Turnaround is an average of 2 weeks. 3. Original customer discs are returned to the customer, along with the new DVDs or data files via web download or applicable media storage device (data disc, flash-drive or hard-drive). 4. We save copies of new movie files, in our storage network for 90 days, to help in the event of loss, or need for extra copies, or need for additional editing.